Hello Sweeties! I guess you guys saw my post on instagram already regarding the new CANMAKE Summer 2017 Tinted Collection. Thank you so much for those who attended and say Hi to me during the giveaway lucky draw event. Hope you guys enjoy your free and new full size product from Canmake too. I guess most of you know that I have always been a fan of Japanese cosmetic product especially the one from Canmake. I love how cute of their product is and always grab it whenever I'm in Japan. Now I'm so happy that all of the latest product is already available in Malaysia. I wanna continue showing my support to my favourite brand and that's why I wish to spread it around , especially on my blog so that you guys can know more detail about the new collection. 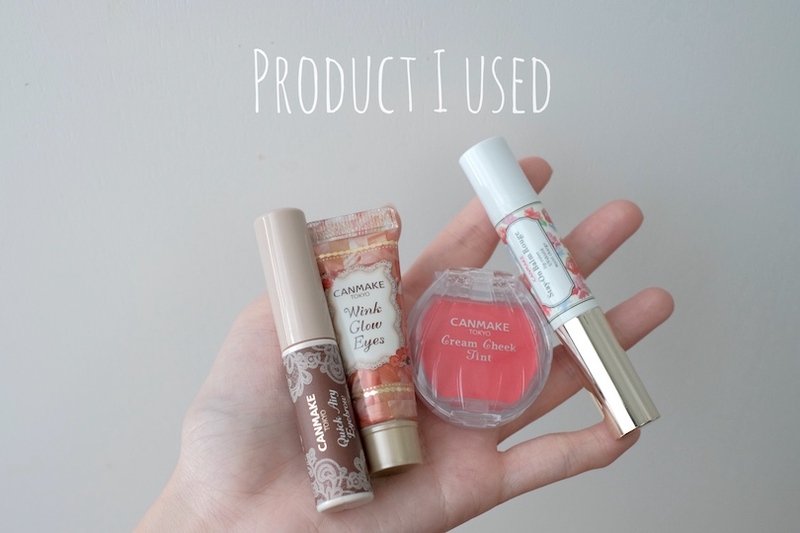 Canmake product are all designed in petite size for your everyday use and easy for us to bring around or even fit in the smallest cosmetic pouch / handbag. This time, I'm so happy that they launch the new Summer Tinted Collection both in Japan and Malaysia. Finally 😭 Last time I always only able to grab in Japan. So yea for those who missed the event or my instagram post. Here's the photo I took during the official launch of Canmake event. Really glad that I'm able to make it to the event. It's full of surprise and I'm really happy because I get surrounded by my favourite Japanese product. I can't help but falling in love with all cute product in the store. This is the first Canmake concept store in Malaysia. Normally their product selling at Sasa, Aeon Wellness , Guardian and more but now there is a concept store located at Damen, USJ 1. It's a huge store which showcase all the collection from Japan. Very pretty and a full range of Japanese product too. More to come! 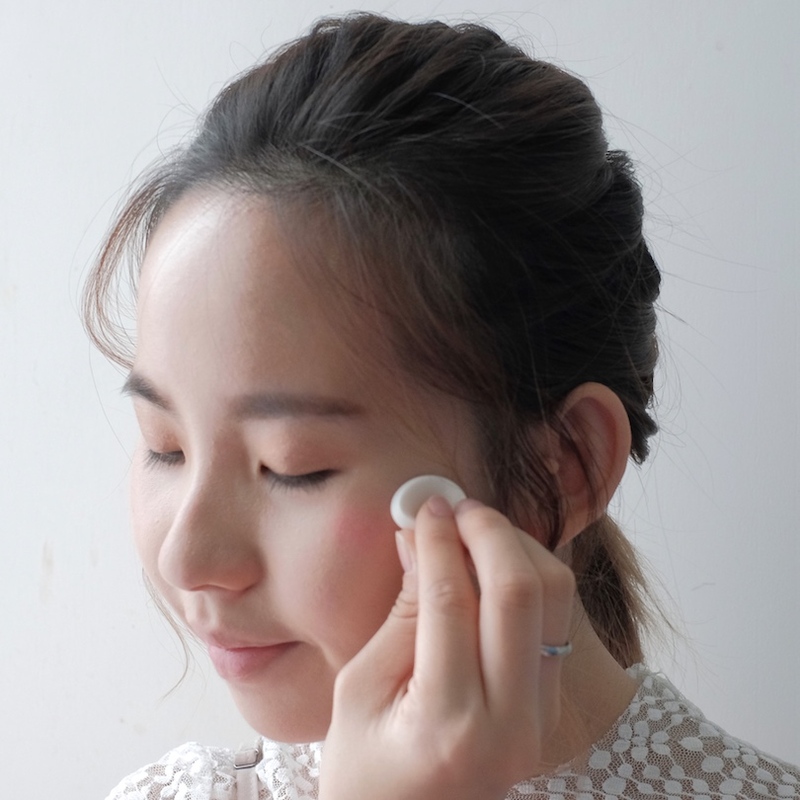 On my hand, it's the new tinted cream cheek which look like a seashell and has a mini sponge on it for you to apply and there are few product available in this Summer 2017 tinted collection too. This whole natural looking makeup look created by using all canmake summer collection product except the eyeliner is my own majolica majorca liquid eyeliner pen that I bought from Japan. But before I started with the review of the tinted collection product. Here's a big shoutout for the new Canmake Sunscreen Gel. I really really really x39208403284023 recommend this for all of you who dont like sticky / greasy / oily feeling of sunscreen. This sunscreen is so light weight and even after you apply it on your skin, it doesn't make your skin fee like you are having a layer of sunscreen product. It's super light weight like you never apply any sunscreen on your skin. It's can be easily remove and 85% ingredients is made by the beauty ingredients. Mad love for this product! 💕 I will update another list of sunscreen product that I'm using for you guys but if you are looking for a light weight sunblock , affordable price , not oily / sticky then this is the best alternative I can recommend to all of you. It's like a white color cream but once you spread it over your skin, it turned really like a gel type and very light weight. Next, here's the product that I used to create the natural beauty looking makeup look. 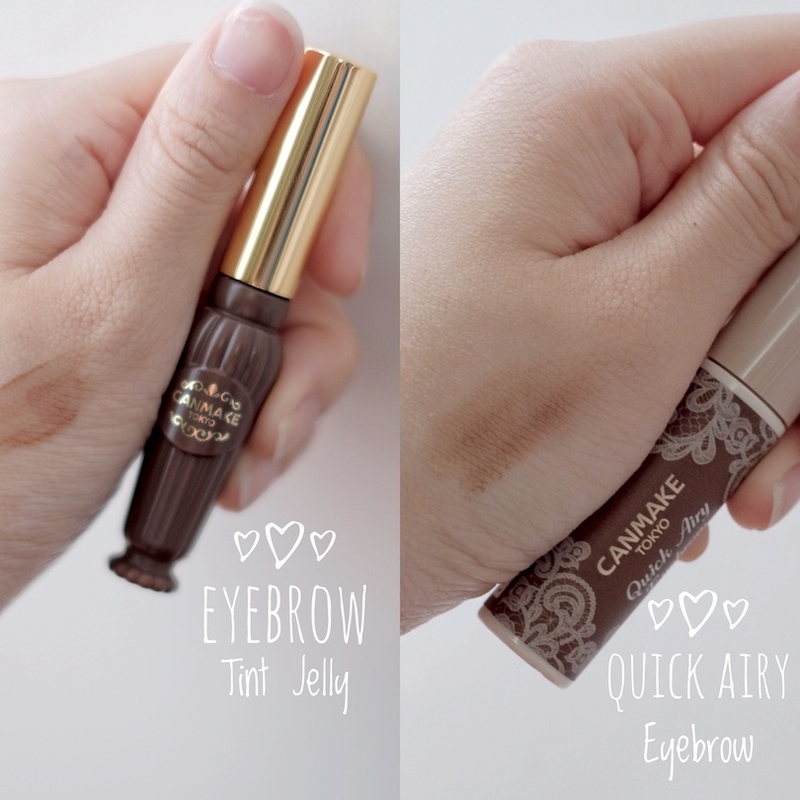 Products I used:- Airy eyebrow , wink glow eyes , cream cheek tint and stay on balm tint. The first was the eyebrows product. It's the tinted eyebrow and the airy eyebrow product. Both was easy to use but require a few practice before you get use of it. The airy one is the fastest way to give your eyebrows a new makeover and I love the new texture it's like an improved version of eyebrows powder! In this makeup look I will only use the airy eyebrows but if you have thin eyebrow and you want your eyebrow to look fuller and natural at the same time then you can use both together. 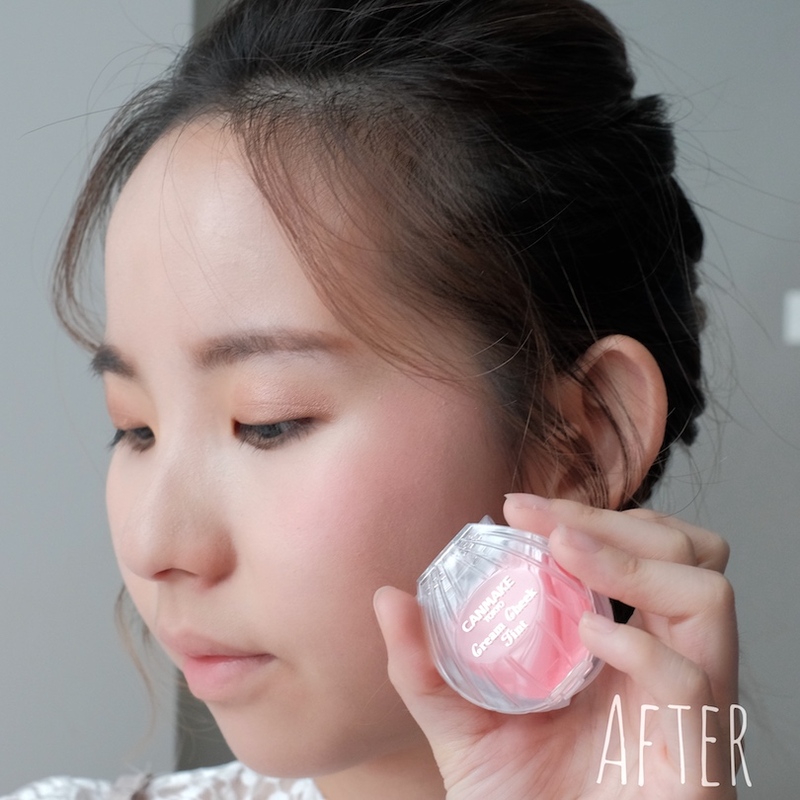 Use the eyebrow tint jelly to fill up your empty eyebrow space and then added with a quick airy eyebrow to make your eyebrow look fuller and natural with your desire shape. Other than that, if you just want to have a very natural looking eyebrows 'like the no makeup makeup looking eyebrow' then you can just use the tinted one because it's really so natural and light in the color like a jelly lol. Besides, I'm also in love with the wink glow eyes! It's pigmented, easy to apply and color is super duper kawaii. 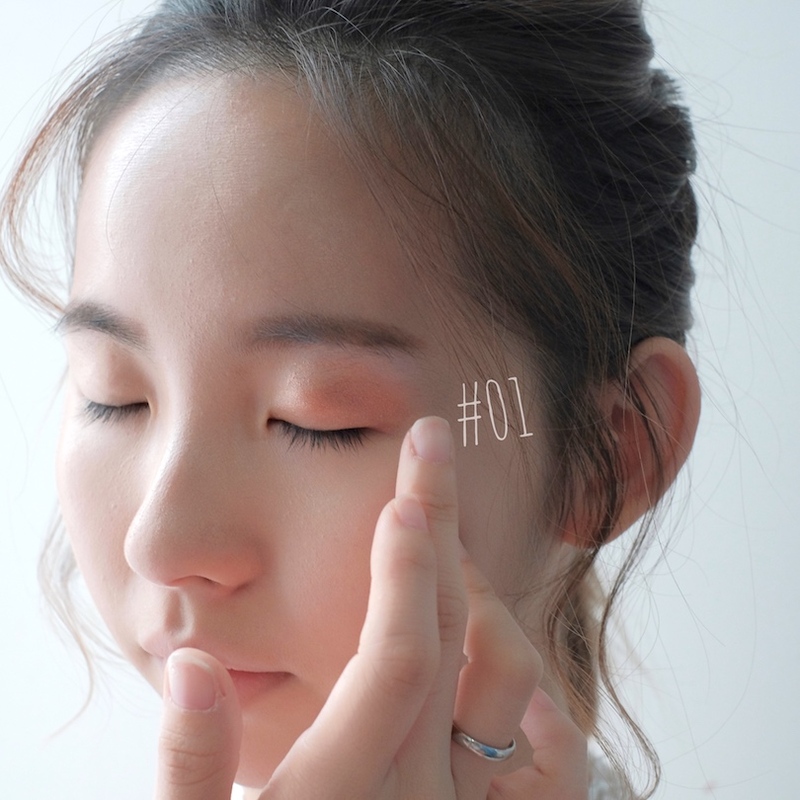 No need to apply any primer also, the color still look really good on your eyelid. It's somehow like a eyeshadow but I love how easy it is when I spread it out with my fingertip. If you like it to be more pigmented you can layer it up one by one. It can add a 3D shimmer effect on your eyelid and the color look really good in our skin. Next, always my favourite product!! 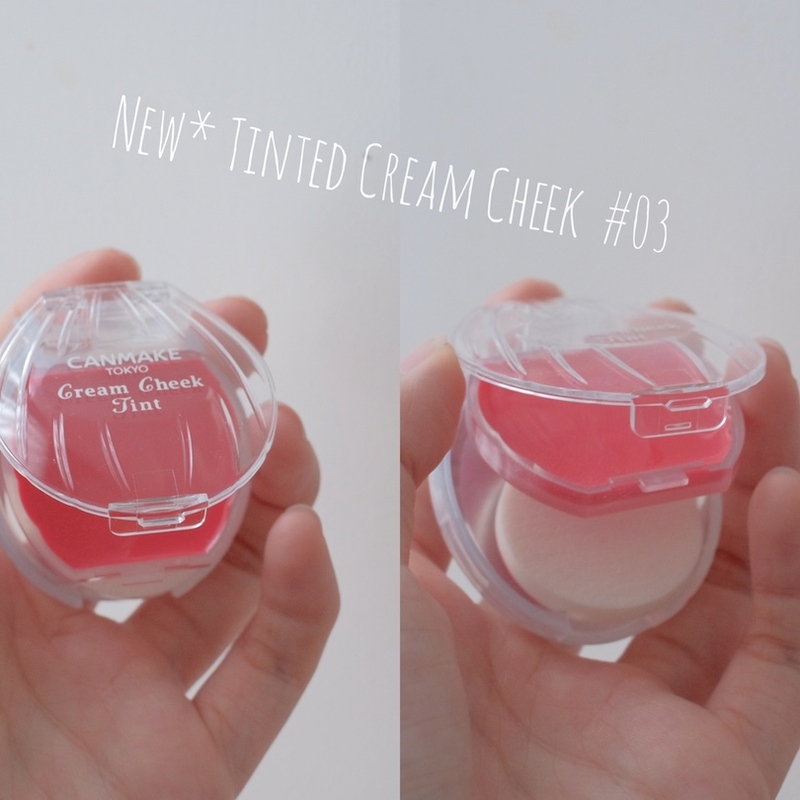 The new version of cream cheek even came out with a tinted one. 赚钱不够一直出新的 哈哈哈钱包破洞了😆 It's as good as the previous one but this tinted version is last longer and only came with 3 new color and I'm using the color no.3. It came with a sponge and the packaging is way too cute! I cannot resist it! Saw this everywhere in Japan and selling like a hot cake & finally it's available in Malaysia 😭 I wanna cry out loud lol. Last but not least, remember one of my top5 pick of favorite lipstick that I wrote on my blog (click here to read more)? Yea, if you have cracked or chopped lips then you must try the Canmake stay on balm! But the new one even better because it last longer (since it's tinted) and the colour payoff is so girly and feminine. Suitable for everyday makeup!! As you can see from the photo above my upper lip = before and lower lip = after using the tinted stay on balm. 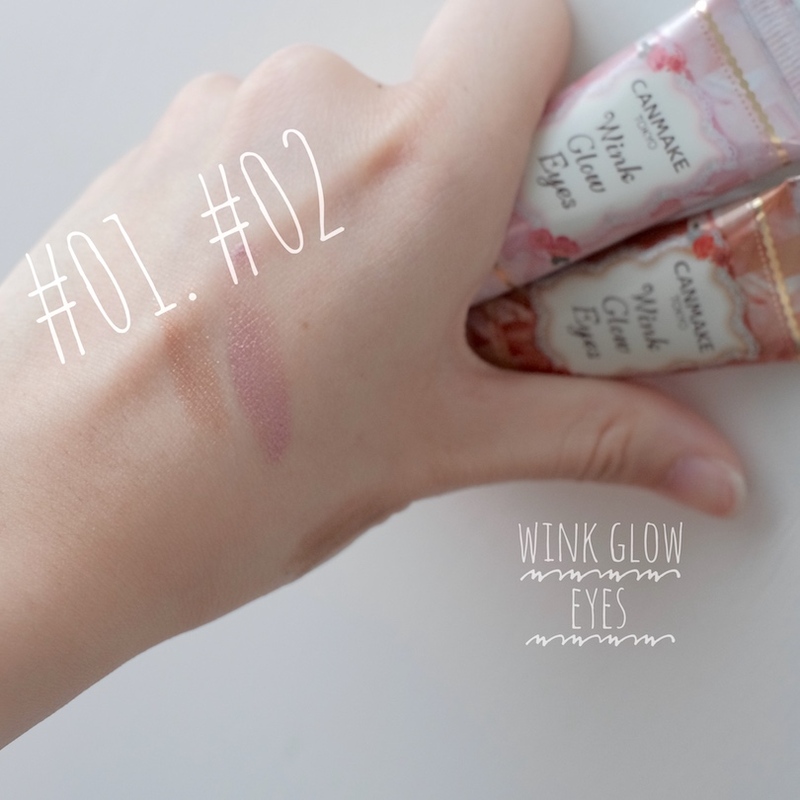 #Chanwontip: Recommend the cream cheek tint, wink glow eyes & sunscreen. Value of money and it's really worth for a try! So I guess that's all about my review regarding the CANMAKE Tinted Collection for this Summer 2017. Hope you find it's useful and remember to check out my blog and youtube channel time to time because I will continue to share about some beauty tips and routine with all of you. That's all for today. See you on my next post. Love, xoxo. Disclamer: Products are given as a gift. I did not get paid for this blog post or any positive review that I wrote for the products. All opinions are my own.